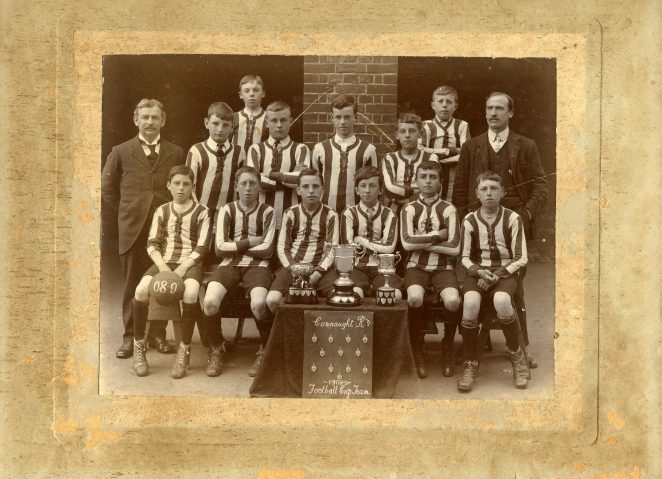 This photograph shows the Connaught Road Football Cup team of 1908-09. My grandfather’s cousin Geoffrey Cyril Barnard (born 1896) is in the middle row on the right alongside the teacher. 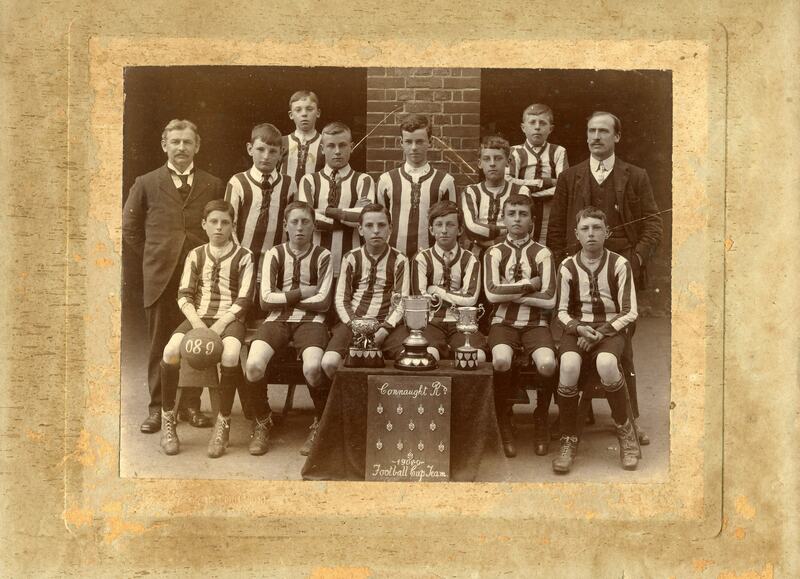 I am almost certain that the boy behind Geoffrey on the right in the back row is my grandfather Reginald Barnard. Reginald went on to play for Southwick. Both Geoffrey and Reginald were born in Portslade and were living in Vale Road and Gardener Street around this time. Geoffrey emigrated to Australia with his sister and parents in 1911 and then returned to fight as a young man in WW1. Reginald was an engineer in WW1.